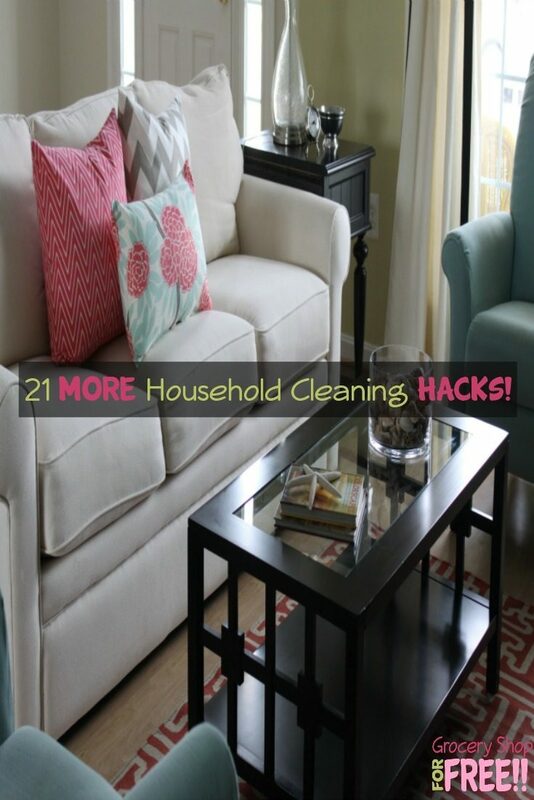 21 MORE Household Cleaning Hacks! You are here: Home / Family Living / Cleaning Tips And Tricks / 21 MORE Household Cleaning Hacks! I shared 10 Household Cleaning Hacks, and 19 Household Deep Cleaning Hacks a while back, I hope you found them useful. I am always surprised at some of the simple hacks people have found for everyday problems. I love trying out new ones, like 8 Clever Ways A Clothespin Will Make Your Life Easier! So, I reached out to some fellow bloggers and they were happy to share 21 MORE Household Cleaning Hacks with you! 10 Kitchen Hacks You’ll Love! How To Clean Your Couch So It Looks New Again! 19 Household Deep Cleaning Hacks! Please share your Household Cleaning Hacks in the comments – we all love to have a new trick up our sleeve! Thank you for including my fridge deodorizer. Love these hacks! You’re very welcome! Thanks for sharing it with us!